"This place looks like a set for a sci-fi flick," Hunt said, gazing out the window of the embassy car transporting him and an NSC staffer from the airport to the National Congress building. "When they built this capital back in the sixties they wanted to be on the cutting edge," she explained, turning to point to a building that looked like a flying saucer with a crown on the top. "See that one? It's their Metropolitan Cathedral."
. . . he was a communist you know." One more clue, wh en I arrived, my luggage was stolen, I discovered the country has one of the highest murder rates in the world and drug gangs and corrupt politicians seem to be ubiquitous. However, it also has some of the nicest people and most beautiful scenery I'd ever encountered. So wouldn't you say that's a perfect setting for a political thriller? Or at least a place where an author could create some memorable scenes? That's what I was trying to do in Gambit. I was so intrigued when I first set foot in that city, I simply had to write about it. Figured it out yet? 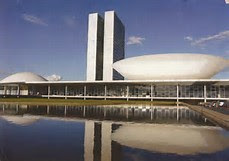 Well, it was Brasilia, the capital of Brazil. All this month, my Rogue colleagues are writing about the importance of settings to take the reader on an adventure to a location they might never be able to see for themselves, or to act as a "character" in the story, as another Rogue - K.J. Howe - explains in her great blog below. When we think about locations, I'm reminded of an absolutely harrowing tale where the setting IS the story...a landscape of ice, snow and wind - the true account of unbelievably brave souls. The title is Endurance: Shackelton's Incredible Voyage. This story takes you back to the year 1914 when the famous polar explorer set out to cross "the last unchartered continent" but his ship became encased in ice. It's a tale of determination and heroism as he and a small crew battle -- yes -- the setting. Of course, an author can't always travel to every location she wants to use when creating a thriller. When I was working on my fourth novel, Castle Bravo, I had to conjure up a believable setting as it involved a former Soviet Republic and centered on the threat of an attack on our country by villains using an "Electro-Magnetic-Pulse" (That's what happens when a nuclear device is detonated high in the atmosphere. The blast doesn't kill people. Instead it "fries" all electronics on the ground. We would have no internet, co mmunications, refrigeration, sanitation, transportation -- as one Major General explained to me, "It would set us back to the year 1910 -- and don't think our enemies aren't working on this one.") As a matter of fact, several countries are - today - examining this technology to use as a weapon against us (North Korea recently made such an announcement). 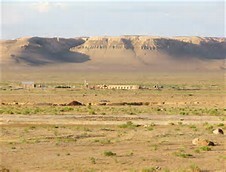 The location I wanted to use in that novel was Kazakhstan. Since I had never been there and didn't have any way to get to that country, I had to turn to "research." I contacted our former Ambassador to that country. I have found that while government officials may not want to talk to a working reporter, they will usually be glad to share information with an author. In fact, when I asked for an appointment with this Ambassador to learn more about the country where she had served, her reaction was, "How great. Let's have lunch." She ended up giving me several books, along with wonderful descriptions not only of the cities, but the countryside, the languages, the "mood" of the people -- all absolutely invaluable to any story. So the question is: What places have YOU visited that you believe would make great settings for a novel, especially a thriller? Please leave a comment. Your thoughts just might give inspiration to the eight of us here on Rogue Women Writers. Now, thanks for visiting. I can't believe I knew that one, Karna. It just so happens my great uncle, who is about to turn 100, had told me about building Brasilia, as he was a chemical engineer involved in the project. Sad what the Brazilian economy is experiencing now -- but absolutely perfect setting for a thriller! Oh gosh, this is really an interesting question. Here are some of my ideas. -- St. Joseph's Oratory of Mont Royal, Montreal, Canada is a tribute to Brother Andre, CSC and is filled with aisles, and stairways, and two walls hung with crutches discarded by cured visitors. -- the Mori Art Museum in Tokyo with its large pieces of sculpture and 360 degree views from atop a tall hill in the city. Thanks for this great visualization question! My husband was told not to step out on his hotel veranda during a business trip to Brazil; that snipers waited in the hills for dumb tourists. And wherever he went outside- even to grab a taxi, a bodyguard escorted him. So my visit last summer to the Marais section of Paris was wonderful and I immediately started planning to use it in a thriller. Alas, Daniel Silva already did. Great post, Karna. Enjoyed visualizing all these wonderful places. Thanks to you all for the great comments, ideas for future settings and help to spread the word about our Rogue authors. This really is a great place for the exchange of ideas for writers and readers, especially those who love thrillers and suspense.